Taken on Jun. 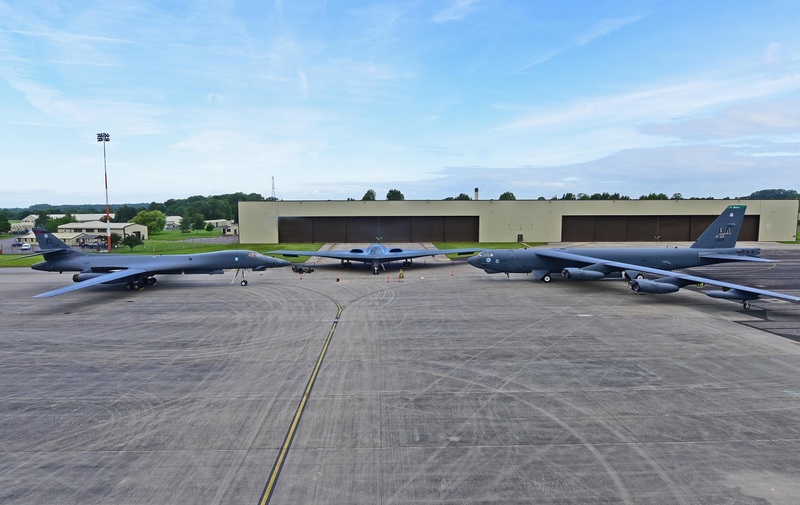 12, 2017 the interesting pictures in this post show a B-1B Lancer, B-2 Spirit and B-52 Stratofortress parked on the ramp at Royal Air Force (RAF) Fairford, U.K..
Two B-2 Spirit stealth bombers in fact joined B-1B Lancers and B-52H Stratofortresses on Jun. 9 to take part in theater bomber assurance and deterrence operations. As reported in the article Air Force B-2 “Spirit” Stealth Bombers arrive in UK, by Maj. Jeffrey M. Bishop, APR, U.S. Air Forces in Europe and Air Forces Africa Public Affairs, three B-52Hs from Barksdale Air Force Base (AFB), La., and three B-1Bs from Ellsworth AFB, S.D., along with approximately 800 Airmen, are currently supporting exercises Saber Strike and BALTOPS in the U.S. European Theater. While not actively participating in ongoing regional exercises, the B-2s join the other Air Force Global Strike Command (AFGSC) assets in support of recurring bomber assurance and deterrence operations. Bomber deployments enhance the readiness and training necessary to respond to any contingency or challenge across the globe. U.S. Strategic Command routinely conducts bomber operations across the globe as a demonstration of commitment to collective defense and to integrate with geographic combatant commands operations and activities. 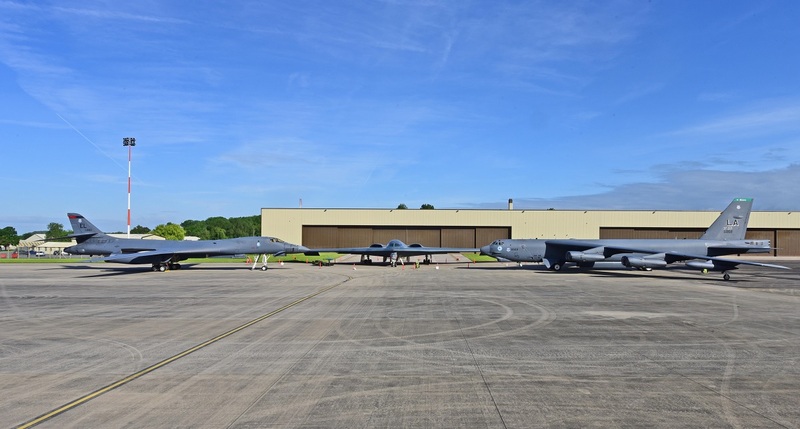 As we have just explained, this is the first time that all three bomber platforms have been located together in the European theater, and only the second time total in AFGSC command history; the first was in Guam in Aug. 2016.